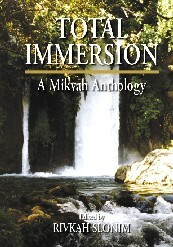 Total Immersion, edited by Rivkah Slonim is a Mikvah Anthology. A collection of thought provoking personal essays by women. Full of insights and information, this book contributes to our understanding of mikvah. Softcover.